The Little Princess Trust is set to benefit when Kathryn Lees gets all her hair shaved off at the Clovenfords Hotel on April 8, the event beginning at about 8pm. Kathryn has so far realised more than £1,600 for the charity which provides real hair wigs for boys and girls across the UK and Ireland who have lost their own hair through cancer treatment. The April 10 service at 10.15am will be conducted by the Reverend Julie Woods. Tonight (Thursday) at 8pm in the church hall, Lesley Manderson will show to do yoga in a chair. Retiring president Frank Sharp reported at the AGM on another successful year. There had been a wide range of interesting speakers, covering subjects both local and all round the world. One of the highlights had been Mary Sherrard who spoke of her time working at Blectchley Park decoding centre during the Second World War. Newcomers had joined the club, increasing the mix from the former all-male membership. He also was very happy with the president’s outing in October when members and partners visited behind the scenes at Edinburgh’s Festival Theatre before enjoying a performance of Lord of the Flies and returning to Kingsknowes Hotel for dinner. The minutes of last year’s AGM and this year’s treasurer’s report were accepted by members. New officials – president, Hamish Reid; vice-president, Dave Romanis; treasurer, George Thomas; secretary, Brian Roberts; programme secretary, Murray Thom; accounts examiner, Norman Howitt; committee – Michael Green, Jim McCulloch, Ian Purves, Dave Romanis, Tony Watson, Frank Sharp, Tom Ingoldsby, Bruce Ogilvie; honorary life member, Allan Redhead. Murray Thom outlined the programme for 2016/2017. The Borders Group of Advanced Motorcyclists (BGAM) held an open day at Galashiels fire station last Saturday. The event was supported by Scottish Borders Council, through road safety officer Paul Richardson, who sponsored 20 places on the Institute of Advanced Motoring Training and Test to help reduce accidents, injuries and deaths on Borders roads among the motorcycling community. All 20 places were sold to riders from this region who will be refunded after passing the course. 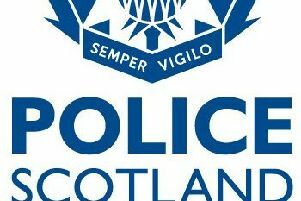 Police Scotland sent two motorcycles and officers, and the ambulance and fire services were also represented. Charity Scottish Bloodbikes were also in attendance, as were Lloyds Motorcycle of Carlisle and Motorcycle Law Scotland. The March meeting opened with Margaret Lang and Linda Gray playing a selection of fun piano duets. Next, Sue Wilson and members of the U3A Recorder Group performed a selection of short tunes. Third to play was the wind, strings and piano quintet of Dorothea Hall (tenor recorder), Heidi Goodship (flute), Robert Fraser (violin), Roger Clarke (cello) and Kenneth Hall (keyboard), with Telemann’s Sonata in G from the Tafelmusik Collection. Sue Wilson then took to the club’s baby grand piano to perform “Farewell To Stromness” as a tribute to composer Peter Maxwell Davies. After the break, Sue resumed her programme with a selection of pieces on an Arboreal Theme, ranging from American ballroom dances, ragtime and Boogie-woogie. Finally, Syrinx flutes, led by Lis Dooner, closed with a selection of traditional, classical and ballet music tunes. To find out more about the club, go to www.onlineborders.org.uk/community/galaclefclub or contact 07780 378590. After a gap of 20 years, the 200-year-old Mill Lade Committee has been reformed. Its next meeting is at 6pm on April 7 in the training room at the Tesco supermarket. Members will consider a proposed mission statement and outline development strategy; and will receive an update on the Energise Galashiels Hydro Project. For more information, contact Alastair Lings on 01896 757861 or alastairlings@yahoo.co.uk. A whist drive will be held on April 11 at 7.30pm. The next gathering is on April 13 at 1.30pm. All welcome. The old time and ceilidh dance class party night is on April 14 with Jack Borthwick, starting at 7.30pm. Bring and share supper. The group played host to Carlisle and Border Camcorder Club. The visitors were welcomed by president Henry Gray who introduced Bill McClintock to present their programme of films as follows: “Rella Venezia” by Dave Elliot was a bright and sunny holiday tour of the canals and places of interest within the city of Venice. In the second film, a documentary, “Oasis of Tranquility”, by Denis and Gail Westmorland, the film opened with scenes of a well-established garden paradise in the St Aidan’s Allotment Association. However, this soon changed due to the winter storm named Desmond which brought about tragic devastation and damage to the gardens, and most of the wooden toolsheds which were up-turned and floated to different sites by the force of the flood water. “All Things Bright and Beautiful”, by Mary Atkinson, featured a film of the flora and fauna to be found in the Lake District, with the title music accompanying. David Robinson produced a travelogue called “Sunrise on the Rock” set around Ayers Rock in Australia. “Pieces of Pembrokeshire”, by Bill McClintock, was a tour through the scattered historic areas of the coastal national parks along the west and southern coastlines of Wales. “Pleasures of Flight”, by David Robinson, featured aerial views of a combine harvester working its way through a field of grain crops, filming via a camera attached to a radio-controlled helicopter drone. “Cesar Manrique” created stunning buildings and works of art on his home island of Lanzarote, Canary Islands. In her film, Sylvia Sisson toured the unusual “sculptured” house and gardens of the Manrique Trust, which features many of this artist’s designs and cultural themes. Another of Bill McClintock’s productions was “In The Park”, a film of a holiday tour in the distant Kruger National Park, South Africa. This film took the form of a motor safari which allowed many opportunities to film the wide range of animals to be found in their wild, natural surroundings. Next on screen was a film about Reykjavik in Iceland made by Sylvia Sisson which included a tour of the city, featuring especially the magnificent modern-styled cathedral. Later, she included some of the natural phenomena of the countryside, such as the bubbling hot springs and the famous high-spurting geysers of boiling-hot steam. The afternoon programme finished with two short comedies made by a group of Carlisle club members acting out the parts. “Simply the Best” and “Suits You Sir” were both short and sweet, with snappy punch-lines. The group’s AGM will take place on April 12. Hawick Senior Citizens’ Association is celebrating after being awarded a grant of £1,500, which will be used to cover transport and operating costs, from Asda Galashiels as part of the latest round of grant giveaways from the Scottish 5p carrier bag charge. In partnership with Foundation Scotland, Asda is distributing half of the proceeds of the Scottish Government’s bag charge through Asda carrier bag community grants, which provide up to £2,000 for local projects and good causes. March 29 – 1, Mary Millar & Patsy Gilligan; 2, Malcolm Ouldcott & Bob Witherington; 3, George Graham & Bob Francombe. President Mairhi Trickett welcomed numerous visitors from various parts of the country to last week’s meeting – Harold Willner and his wife, Gale, from Kingston-upon-Thames; Joyce Wilson and her husband, Jim, from Workington; Jo Pawley, District Assistant Governor from Eyemouth; and Angela Dewar and Alan Thomson, from Melrose. They heard club member Robin Mason give an illustrated talk on garden birds and their habits. He revealed that bird types vary in numbers and time mainly due to weather and the effects of climate change, which affects insects and the available wood chain, and quoted RSPB surveys to back this up. He showed a series of slides of common birds to test members’ knowledge of ornithology. The Literary High Tea at the Reivers’ Festival saw Gilly Fraser speak on the part horses played in reiving times and how they were portrayed in the Border Ballads. Defibrillator training took place over two sessions for 40 local residents. The hall is soon to be equipped with its own defibrillator provided by Kelso Heartbeat. Heiton SWI will be fundraising with a crafts and candy table for Kelso Heartbeat at a craft fair at Heiton on April 10 (10am-3pm). St Ronan’s Primary pupils are hosting a farmers’ market in the school on April 22 (noon-2.30pm). There will be a selection of stalls showcasing a wide selection of local produce, including fresh and cooked meats, deli counter, bakery, locally-brewed beers, ice cream, freshly-squeezed juices, fresh fish, fruit, veg and eggs. Refreshments will be available at the Farm Barn Cafe run by pupils and the PTA. A raffle will also be held. The service on April 10 begins at 11.30am. There will be a meeting of St Ronan’s Border Games on April 13 in the council chamber, Memorial Hall, Leithen Road, at 7pm. St Ronan’s Border Games spring coffee morning will be held on April 16 in the Vale Club (10am-noon). Any donations gratefully received. The next meeting of the society is on April 14 at 7.30pm in the Royal British Legion when Kenny Hogg will present the second half of the story of the Jedburgh Border Games. At the last meeting a talk was given by Margaret Fox on “Crimes of a heinous Nature” to more than 30 members. Margaret looked into the darker side of life across the Borders during the 18th and 19th centuries, examining crimes that have long passed into oblivion, but also those that are still making headlines today. These included political as well as domestic crimes. She also dipped into Lord Cockburn’s “Circuit Journeys”, which gives an insight into 19th-century crime and criminals from the perspective of a judge who was not afraid to speak his mind. As a concluding footnote, members were told that a man by the name of Blythe – a serious sexual offender – was thought to be an ancestor of former US president Bill Clinton. Jedburgh has again welcomed visitors from its twin town of Malestroit in Brittany – this time with a difference. The event is being jointly organised with Jedburgh Twinning, Jed Thistle rugby club and local musicians. The guests are members of the under-18s section of the rugby club in the Malestroit area, together with some members of the Bagad Auel Douar (their local pipe band). As well as a bit of sightseeing around the Borders, the visit featured a match against Jed Thistle at Lothian Park on Tuesday, and the French will face Kelso Junior Rugby Club at Poynder Park tonight (Thursday), with a 6pm kick-off. As they did on Tuesday at Jedburgh, the Bagad will play on the Kelso pitch before the game. Despite their common celtic roots, there are differences between a Breton and a Scottish pipe band – but a joint practice with Jedburgh RBLS Pipe Band was another feature of their week. For more information, email chair@jedburghtwinning.org.uk. March 30 – SBU Easter Pairs – 1, Gerry Eglington & Jon Bridger; 2, Alex Jeffrey & Vanessa Wilson; 3, Annie Mitchell & Bob Stevenson; 4, Chris Anthony & Myra Thomson; 5, Dominic & Diana Alkin; 6, Brian Saywood & Ken Ross. March 31 – match-pointed pairs – 1, Vanessa Wilson & Lynda Douglas; 2, Beth Thompson & Colin McGrath; 3, Alison Darling & Myra Thomson; 4 (equal), Annie Mitchell & John Loudon, Gerry Eglington & Jon Bridger; 6, Diana & Dominic Alkin. Rory Laycock, who has a studio at Buccleuch Mills, was part of a group who helped three teams of national and international artists create colourful murals on buildings in the heart of the countryside. Rory joined Sebastian Bagge and Julio Rolle, of Berlin-based 44 Flavours, at Mossburn Animal Centre, Hightae, to paint a mural on the side of a large stone farm building which is visible from the B7020. The artists also created a painted wooden structure, dubbed “The Doocot”, inspired from pigeon houses they saw. The centre, which is open to the public, is home to dozens of rescued animals. Rory is an emerging Dumfries and Galloway artist and lives with his family in the town. Spring Fling Rural Mural (SFRM) brings public artworks into new and unusual places in the region. The Co-operative food store gave away Easter eggs to people who play an active role in improving life in the town. The shop in Glenesk Road handed out the eggs on Good Friday as part of a UK-wide initiative in which the company gave away nearly 25,000 of the chocolate delights in communities close to stores. The Langholm recipients were Kate Turk, who helps groups with the elderly; John Scott, chairman of Eskdale Foundation and vice-chairman of the day centre; Mary Scott, who helps the church and day centre; Kirsty Ash, who set up the Muckle Toon joggers; Jamie Fletcher, vice-chairman of the Macmillan Cancer support branch and member of the Common Riding committee; Dawn Lamb, chairman of the Muckletoon adventure festival; Sharon Irving, who organises fundraising events for Cancer Research UK; Avril Bannatyne, chairman of Macmillan Cancer Support and volunteers at the RVS and Buccleuch Centre; Avril Grieve, who is on five committees, including the British Legion Club and Buccleuch Park play project. Local charity Zaagi, which supports families in crisis, is inviting craftspeople to take a stall at its Spring Fling craft event. It will be held on May 7 in Lauder Public Hall – access to venue at 9am; doors open from 10.30am- 3.30pm. Zaagi can be contacted via 07826 086274, zaagiuk@gmail.com or www.zaagiuk.wix.com/zaagi. The last session for the current series of Maxton Meets will be an illustrated talk by Diane Bennett on the Tweed Valley Osprey Project. The talk is on April 11 in the village hall, starting at 7.30pm. Admission is £1.50,including refreshments. All welcome. Activities – foodbank contributions welcome; WFO envelopes available for collection; April 7, 2.30pm, guild, Elise Ross on “Time spent in Israel”; April 8, 7.30pm, Lauder Church, “Faith and flowers”, Joyce Tinlin; kirk session, April 17 and 28; May 1, buffet lunch, after minister’s final service, in Melrose RFC; financial donations for catering to office or Elsa by April 17; food contributions to club by the morning; April 10 services – Bowden (9.30am) Melrose (11am). Trimontium trust chairman Dr John Reid was at a Small Finds Conference in York to talk about the recent discovery of an early Roman Cavalryman’s spur, which fitted on to his boot with straps, matching up with the remains of another discovered by James Curle, 100 years ago. At the meeting novelist Lindsey Davis, who has written many Roman crime novels, passed on her best wishes to the trust with which she has kept in contact since she spoke in Melrose Corn Exchange in 1993, and suggested that she would be happy to come again. A coffee morning in aid of Morebattle Village Hall will be held on April 9 in the premises from 10.30am. There will be an open meeting in the institute on April 12 at 7.30pm to discuss arrangements for celebrating the Queen’s birthday. The subject of the next meeting will be gardening with Emma Emmerson – April 13 in the institute at 7.15pm. Competitions – foliage arrangement (not to exceed 10in) and a plant holder. The Anne Wallace competition is for a small clootie dumpling. A coffee morning was held by the welfare committee in the village hall, raising £470. There was a sales table, along with baking and tombola. The welfare runs two trips each year for the elderly, and also has a volunteer car scheme to help senior citizens. Members heard readings from a wide variety of people such as Bill Bryson, Bridget Boland, Robert Frost, Joyce Grenfell, Ernest Hemingway, Gerard Manley Hopkins, Burl Ives, Rudyard Kipling, Katherine Mansfield, Jimmy McGregor, Sorley Mclean, A. A. Milne, Robert Service, William Shakespeare, Sitting Bull, Robert Louis Stevenson and Robin Williams at their latest meeting. They also read a short comedy in which three men (three different generations of one family) were considering, or being forced to consider, getting married to two women. Savouries, Easter eggs and other goodies were enjoyed throughout the evening. The last gathering before summer will be held in the upper room of the village hall on April 14 (7.30-9.30pm) when the subject is “Planets”. Pauline Birse, from Selkirk, was speaker at the March meeting. She delivered a talk on pyjamas she designed while working with the Lavender Touch cancer charity. Pauline herself had the disease and, as a result of chemotherapy, had water pouring out of her body, meaning she had to change her pyjamas and bedding about thrice nightly. She wondered what could be done about this and invented pyjamas which absorbed the liquid, but kept the patient dry. The problem was finding material to make those and Pauline searched worldwide before getting the suitable fabric. These pyjamas cost £75 per pair, meaning that fundraising to continue with their production is necessary. They are used for patients in the Borders at the Margaret Kerr Unit and hospital patients. Wilma Morris gave the vote of thanks. Competitions – hand-made lavender bag – 1, Susan Gray; 2, Elaine Reid; lavender-coloured item – 1, Rose Cameron; 2, Annie Gair; 3, Annette Hotson. The next meeting is on Tuesday, April 12, in St Boswells hall at 7.30pm when Gail Watson, from Kelso, will give a flower-arranging demonstration. There is no morning service on April 10 in Traquair Kirk, but later that day (3pm) there will be a concert by the Scottish Vocal Ensemble as part of the 900 years in Traquair Celebration. Entry is free, but there will be a retiring collection for church funds. The next service in Walkerburn Public Hall will be on April 17 at 10am. A bingo night will be held on April 7 in Wauchope Hall at 7pm, with proceeds going to Festival Week. A charity film night will be held in the Wauchope Hall at 7pm on April 9 – The Railway Man(15). Entry (£7.50) includes refreshments. Doors open at 6.30pm. Coffee in Church on April 13 from 10.30am. A quiz night will be held in the Plough Hotel on April 13 at 8pm – proceeds to the Great North Air Ambulance. There are three vacancies on the community council. Anyone interested in joining should contact Susan Stewart or Natasha Gray for an application form which must be returned by April 19 prior to the AGM on April 26 at 6.30pm in the Youth Hall. The Matt Seattle Band will perform in the Wauchope Hall on April 15 at 7.30pm. Tickets are on sale in the village shop or from Susan Stewart. Floral Gateway will hold its annual plant exchange and coffee event in the Youth Hall on April 16 from 10.30am.